Day 2 began with a review of our functional movement screening and then a foam rolling session. Many of us runners already foam roll, but the techniques we were shown were great for getting a full body release, beyond just the lower body which I normally focus on. We were given these awesome backpacks which our Olympic Team was also given! My favourite feature is the separate compartment for shoes or sweaty post-workout gear. The bag was given to us as a “recovery pack” and was full of of even more goodies. The next session was our pre-workout dynamic warm-up. I haven’t done one since I was leading the SC Robson training club runs, and it was great to get back into doing a warm-up that isn’t just running! The session that followed was probably my favourite part of the entire camp. Yes, a running drill! Inside the training facility there was a short straight-away track on the floor, it connects to the main track if the door is open. A perfect feature of the facility for our running drills. We did the regular A,B,C’s and then it got more challenging. They set out pylons and it would be A skips to the pylon right into a sprint or bounding to the pylon then a sprint. We also did a few where we start lying on our stomach and then pop up and go straight into a sprint. There was also a drill to practice the slight lean involved in the ideal running form. The coach would hold our shoulders and we would get into position and start running as they remained in front of us holding our shoulders and then they would step away and we would go right into a sprint. It was a challenging workout and a lot of fun, I would definitely enjoy encorporating more drills like that into my training! Next up was lunch, CSIO has a training kitchen where they teach their athletes how to cook (pretty cool!) and while we didn’t do a session on that, we did have our lunch in there. Lunch was prepared by the in house chef and was a variety of sandwich and wrap fillings to make your own meal and a couple different salads (all really good!). Through lunch I was staring at the clock waiting for 1pm when Seawheeze registration was to begin, turned out 1pm was only the start of my registration battle and happened during our 2XU product knowledge (PK) session. After some 45 minutes of anxiety I was able to register! We also had a brief lesson on choosing proper footwear, definitely important, but I know a fair share about that already. Then it was time for workout number 2: a weight training circuit. We were split into pairs and given personalized plans, some exercises used machines, some used TRX, many were body weight exercises, but it was great. Our afternoon burner (final part of the workout) was a battle rope session. This was my first time trying battle ropes and it was no joke! It takes a lot of effort to get those things to move! We did a couple variations on them, targeting different upper body muscles and were rewarded for our hard work with a Booster Juice protein shake and debrief. Then it was time for everyone to go back to the hotel and for me to complete my bonus workout: a run in the beach! Day 3 began with foam rolling and a warm-up and I have never been happier to foam roll. I guess 3 workouts in 1 day necessitates it! We were split into pairs again and given another customized workout plan, this one focused a lot on using resistance bands and body weight exercises, but there were a few machines used for upper body work and weights used for lunges. 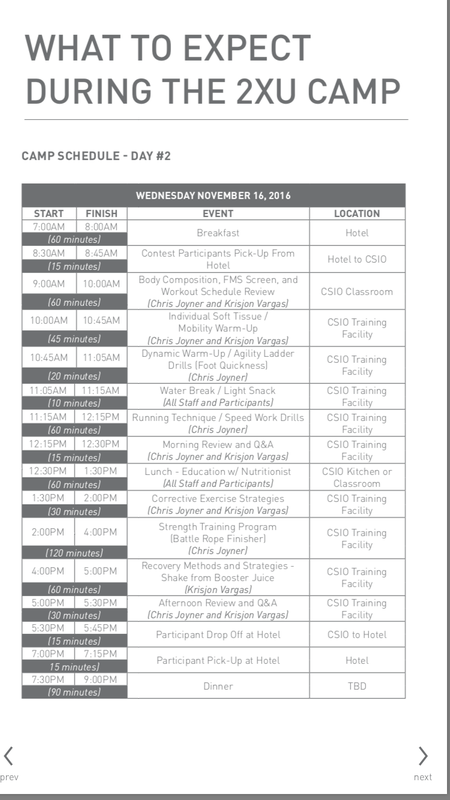 We will also be sent personalized workout plans to use at home! Our burner was a guys vs. girls relay race featuring a weighted sled pull, followed by a sprint and then 20 medicine ball slams. It was a really fun way to end the workout and quite challenging also! Lunch was a similar menu to the previous day, only this time the venue was a classroom because during our lunch we had a presentation by one of the CSIO’s sports dietitians! I thought it was a great session to include. I believe many athletes underestimate the importance and impact of diet with regard to training and performance. The key points I took away were to eat more often, 2-3 healthy snacks throughout the day and to try and make dinner smaller. Having snacks is important to regulate blood sugar and keep energy levels consistent. Many of us make a massive dinner because we’re starving and it’s 8pm and we haven’t eaten since lunch at noon, but this can lead to eating more than we need. The next session was functional range conditioning, very deep stretching held for long periods of time. Painful! During this session, we were called out one at a time to do our DEXA scan. This was to learn our body fat percentage and a variety of other information including the weight of each part of the body: head, torso, each arm and leg etc. You can only wear shorts and a sports bra and they take your height and weight and then you lie on this table while the machine slowly scans each part of your body starting from your head and working its way down to your toes. You have to be as still as possible during the scan and it takes about 8 minutes to complete. While maybe not the most fun, it was interesting to experience and gain insight into another side of what athletes experience. Once we had all completed the scan and the functional range conditioning it was time for a booster juice recovery smoothie (get those snacks in) and a debrief before camp ended! Overall, I thought it was a great experience. I learned a lot about my body and got to try a lot of new activities I likely wouldn’t have done otherwise. The coaches were super knowledgeable and great to work with. I would highly recommend entering this contest next year because there is talk of holding camp annually. It was really great to be a part of it this year, and I imagine next year will be amazing too! In my mind I am an Olympian, in reality, I am a regular person who has a serious case of the running bug. As a winner of the 2XU Camp contest, I got to experience life as a professional athlete for a few days. The experience began with a phone call from Nikki and Natasha from 2XU calling me to book flights to Toronto, no expense was spared as they booked me direct flights with advance seat selection. They also offered to pick me up from the airport. 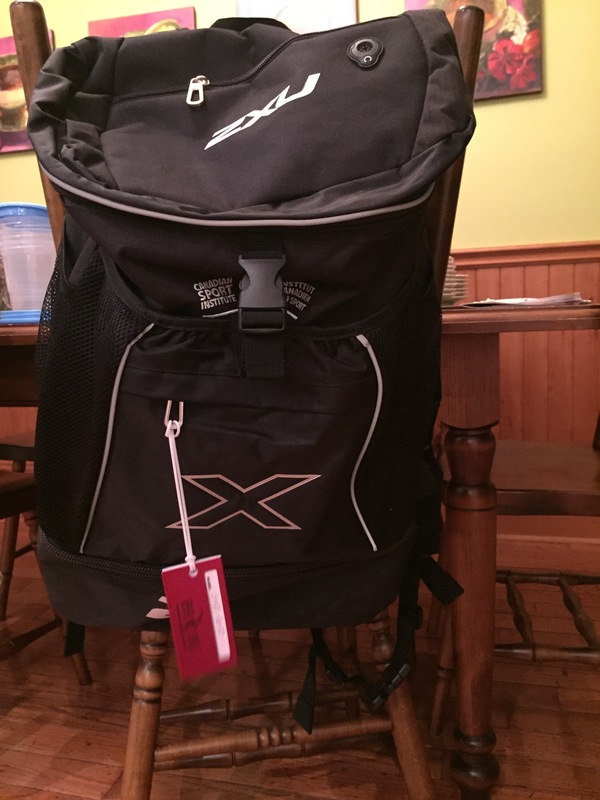 A few days later, a large box arrived containing several small boxes of 2XU products, so I would be able to show up to camp dressed in my gear once in Toronto. I felt like a pro already and I hadn’t even done anything yet! 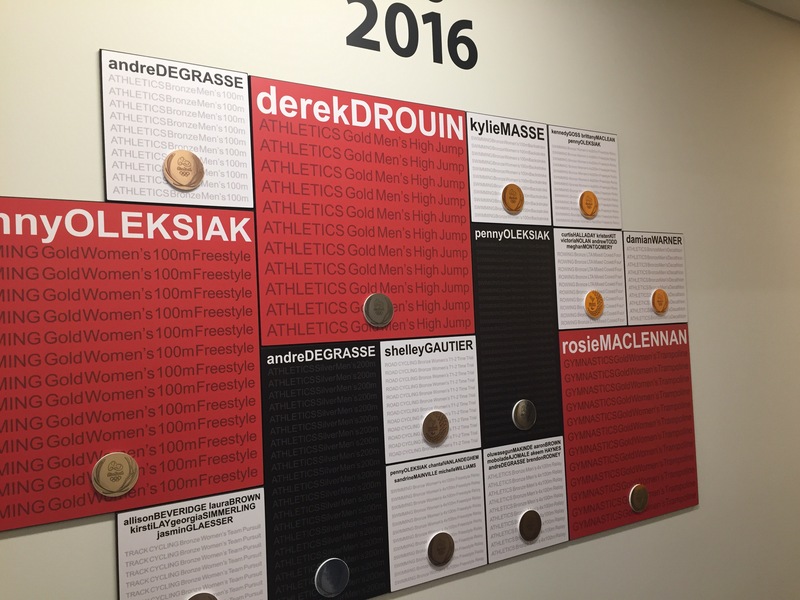 The other participants stayed at the Delta and had a driver to bring them to the training facility, The Canadian Sport Institue of Ontario each day. I opted to stay at home since all my family lives in Toronto, so I could get my running in on The Beach. Thanks to my dad who took on the role of my personal driver, running partner and chef this week (though we did have an actual chef making us lunch during training too). I’ll tell you day by day what the training camp consisted of, and I will also include my running schedule from last week. Those from out of town flew in on Tuesday, mid-afternoon. We met at CSIO at 5pm to start the camp. First there were intros from the coaches, Kris John Vargas of Basketball Canada and Chris Joyner of The Blue Jays, and then a tour from John, the director of business development at CSIO. The facility is absolutely amazing, hands down the most amazing training centre I have ever seen, and then been able to use! Many of our Canadian Olympians train there, especially the swimmers, the pools are stunning. Part of the centre is available for public use including a running track and gym. We were in the portion reserved for carded professional athletes, which was amazing! Following the tour, we had our weights taken and did our functional movement screening (FMS). FMS is a tool coaches use to assess their athletes at different points within the season. It is customary to do an initial one when off season ends and spring training starts in the case of The Blue Jays. The FMS involves 7 movements an individual from any country and background naturally learns to do at an early age. However, as we age, it becomes harder to do these movements without practising them. Each movement is scored from 0 to 3 depending on if/ how well you can do it. The purpose is to notice any imbalances in the body between the left and right sides and determine the necessary corrective exercises for each athlete. 1) Deep Squat: a regular squat, but you hold a bar overhead, so your arms form 90 degree angles. 2) Hurdle Step: you stand behind a hurdle, the height is determined by the measurement of your leg from the ground to your knee. You balance on one leg while lifting the other leg off the ground, bending at the knee to reach over the hurdle without touching or looking at it and tapping your heel on the ground, before reversing the movement and returning to standing position. 3) In-Line Lunge: you hold the same bar from the deep squat behind you, vertically, between your lower back up to your neck while lunging on a very narrow measuring stick. The distance between your feet is the same measurement to determine the height of the hurdle. 4) Active Straight Leg Raise: you lie on your back and lift your legs one at a time to a 90 degree angle. 5) Shoulder Mobility Reaching: you start off standing with your arms straight out and form fist with your hands, then you reach one arm over your shoulder towards the ground and the other arm going up your back, you want your fists to get as close together as possible. 6) Trunk Stability Push-up: similar to a regular push-up, but more challenging because you have to start with your hands in line with your cheeks, rather than under your shoulders. 7) Rotary Stability: you kneel on the thin measuring stick and lift one arm and the same leg off the ground (if you can), alternatively, you do the opposite arm and leg, also called: bird dog. I scored 12/21. I was very even in my scoring between right and left sides of the body, which is good! However, my squats, lunges and push-ups need some work apparently. Some professional athletes score even lower than I did, but can still perform at a high level in spite of their inneficient fundamental movements! Tuesday: 60 minutes easy, out to Ashbridges Bay and back. Wednesday: 60 minutes easy, out along Dundas to Broadview then down to Eastern ave to get back to The Beach (in Toronto). Friday: 60 minutes easy, same route as Wednesday. Saturday: 90 minutes easy, made it to sugar beach and back (in Toronto). Sunday: 45 minutes easy, run home from work. Stay tuned for part 2 of my experience at 2XU Camp coming later this week! Tuesday: 50 minutes easy, but I miscalculated the distance and it ended up being 60 minutes with a lot of hills. It was good and challenging. Wednesday: Group workout which incidentally was more hills! We ran a route called the seven sisters, which like the name suggests includes 7 hills. It was great to have the group to do this with. Thursday: OFF, I needed this! Friday: I only needed to do 45 minutes easy, but a running buddy invited me trail running so we did 80 minutes instead, so worth it! Plus, my Sunday run was done early. This was also super hilly, lots of strength work this week, no wonder my legs are feeling it. Saturday: Group workout, we did a 20 minute warm-up and then 3 sets of 2.5km at tempo pace and a 30 minute cool-down, it was a bit tough given the previous hill work this week, but a good workout as always. Sunday: 45 minutes easy, a commute run from work. I also did 3 NTC core workouts, and 0 push-ups, my arms are too tired from all the lbs of vegetables I made into juice this week 😂. Tomorrow I am off to Toronto on a 6am flight for 2XU Camp! I will be sharing my experience on Instagram (@sydgo) and writing a recap here afterwards. In early October, Sport Chek and 2XU launched a contest to post photos or videos of “how you train” for your sport on Instagram. It was open from October 3-17, and I entered every day. As you can imagine, all my photos were running related. I entered for fun and when I enter contests like these I never expect to actually win as they are quite competitive with lots of submissions. 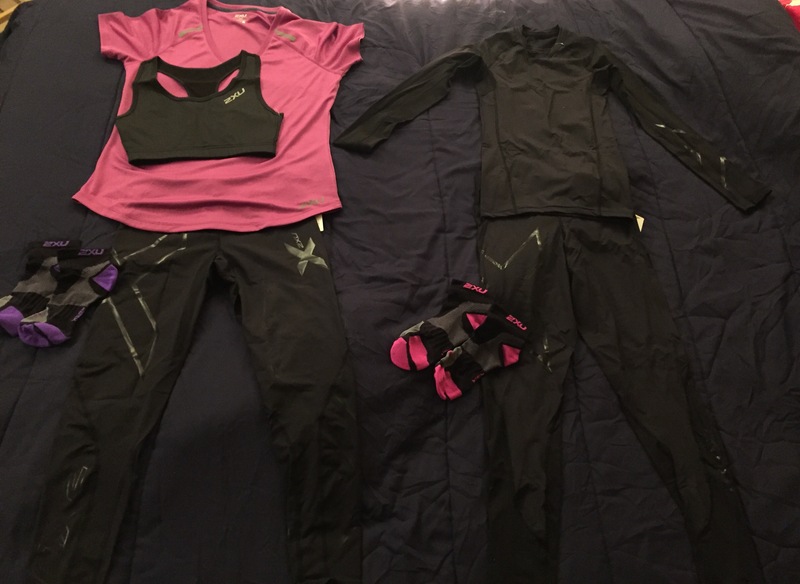 2XU also sent a box full of goodies to wear during the camp, inside was: a pair of recovery compression tights, MCS cross training comp tights, an MCS cross training comp top, an ICE X Crop, an ICE X Top, and 2 pairs of training VECTR socks. They really hooked us up! I am flying to Toronto on Tuesday at 6am and will be attending the camp until Friday! I will definitely be posting about my experience on Instagram @sydgo during the camp and writing a recap here after it ends. 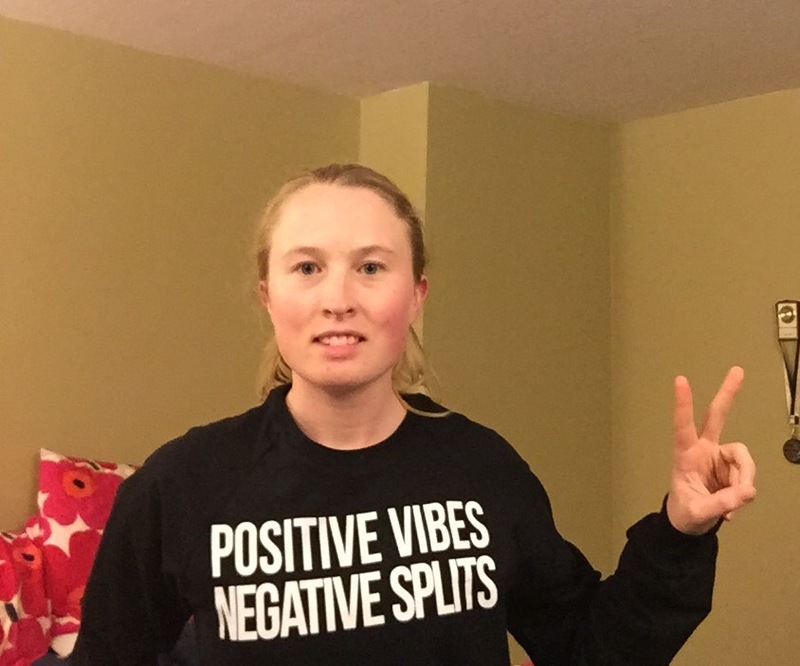 I started working with a running coach in January 2015. Since then, I have learned a lot of useful lessons about how to be a better runner. I have also reaped the benefits of running stronger, feeling better during tough runs, as well as a streak of PB’s. 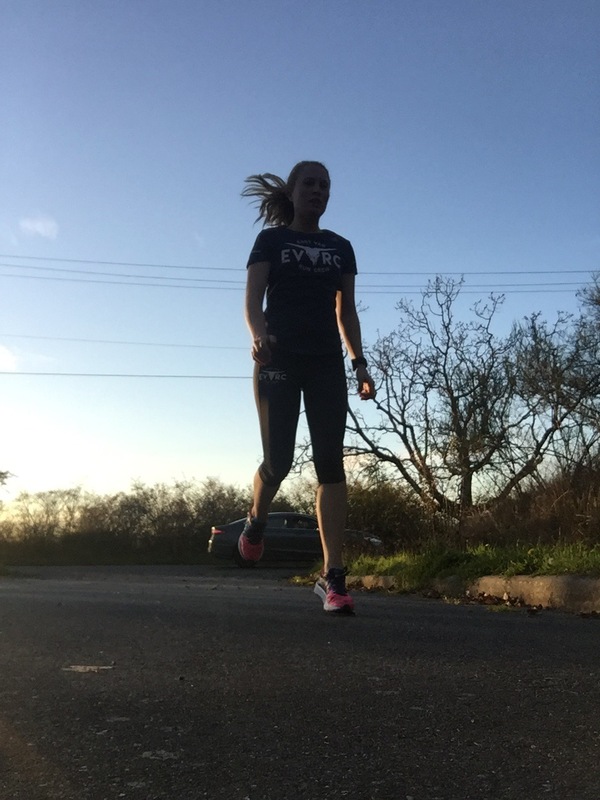 Here are 7 tips I have learned so far, which have helped me progress as a runner. 1) Increasing your number of runs per week: I used to run only 3-4 days a week, and while this was fine for basic fitness, I don’t think it was enough to get the results I was after. My regular plan includes running 5-6 days a week and it is working quite well. If you do decide to increase your weekly runs, do it slowly, don’t just double your days. It can lead to a long list of issues including: injury, burnout etc. 2) Keep easy runs EASY: this was a challenging concept for me, but after a few months, I started to enjoy it. Easy runs are supposed to be performed at a pace that isn’t challenging, and is maintainable over a long run. For example, Olympian Eric Gillis tweeted a photo of his Garmin a few weeks ago showing a 4:45 pace for an easy run of 20km. For reference, his average pace during a marathon would be about 3:03/km. About 50-66% of my weekly runs are done at an easy pace, in off season, it can sometimes be all of my weekly runs, if I’m even running! So why do easy runs? 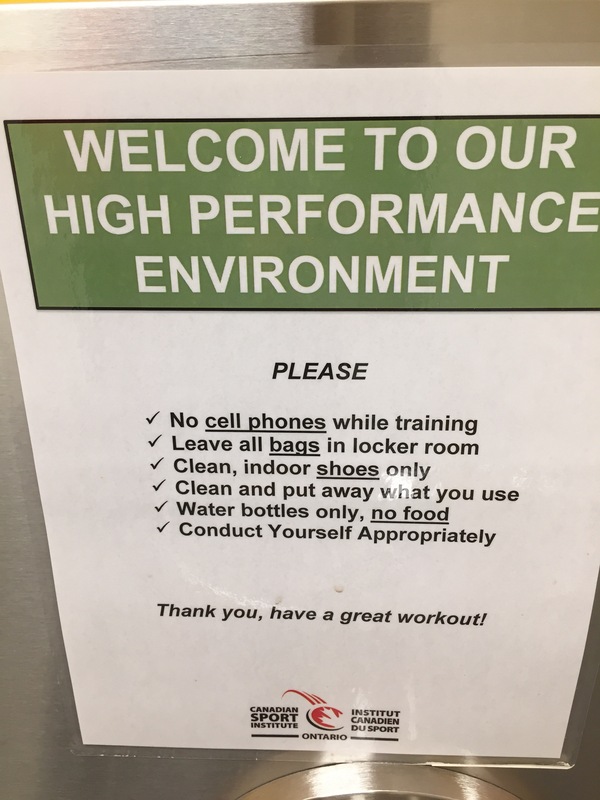 They make up a significant portion of weekly mileage, you physically cannot do workouts every day of your training, and “You’re using mostly slow twitch muscle-fibers. They have a higher density of mitochondria, high levels of aerobic enzymes and greater capillary density than fast-twitch fibers, which are more involved in higher-density training..You increase mitochondria and capillaries and blood flow to those muscles,so they’re better able to utilize oxygen, without that, you can’t do the intense runs” (Runners World). It will probably feel strange at first, both physically and mentally to do an easy run, but trust me, if you give it time, you will learn to love them and understand their value. 3) Have a plan and stick to it: If you are looking for results, and have specific goals for races, you need to have a plan for how you are going to get there. The plan should be specific to your goals, training for a sub 15 minute 5km will have a different route than a marathon… I really enjoy the structure of having a set schedule and plan. I follow it as much as possible, this includes running on vacation or weekends away. This is how I train, and I enjoy it. I definitely prioritize running over most things in my life. You don’t necessarily have to be as strict as I am to see results, but a plan is still important. 4) Make fueling part of your plan: You have to train your legs and cardiovascular system to run a race, and it’s no different when it comes to your digestive system. Ingesting a surplus of sugary fuel while running at a hard effort is not easy on your body. It takes practice for it to become accustomed to this. It takes trial and error to find out what kind of fuel works best for you as well as how often to take it. Practicing fuel intake during training runs is an absolutely necessary step to avoiding GI issues on race day. 5) Trust the plan: Whether you have a coach making your plan or you are using one from a running book, or making your own, you need to trust the plan. Plans are created as they are for a variety of reasons including scientific evidence, experience and the needs of the individual athlete. You need to buy into the plan, commit to it and trust that it will help you reach your goals. When the training cycle is complete, you need to believe that you have worked hard and are ready for the challenge you have been preparing for. This leads to..
6) Obey the taper: There are mixed feelings about the taper week(s) leading up to a long-distance race, some hate tapering and some love it. Whatever your feelings are, it really is important to let the taper happen and relax during that time. Doing extra running or working out in the final weeks before a race will not improve fitness, it will more likely do damage. I think the key to dealing with a taper is mental strength, this goes with #4 trusting the plan. 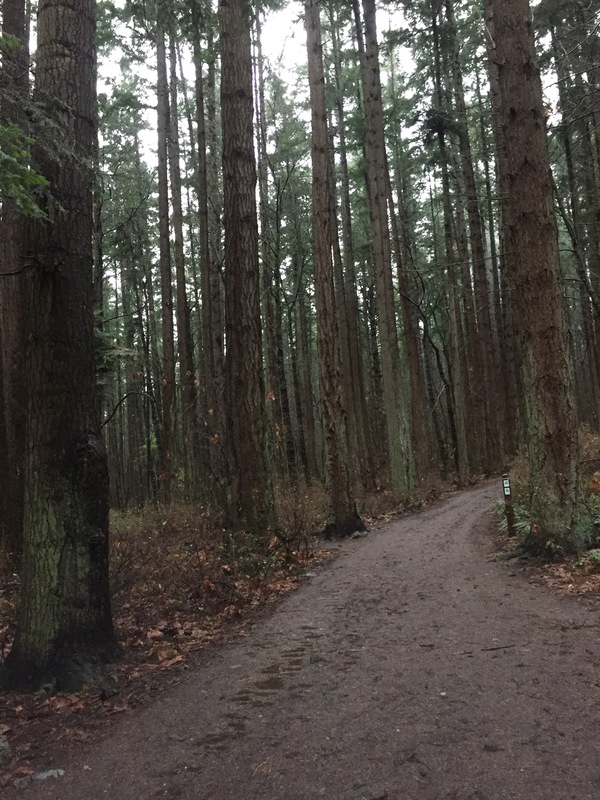 When I tapered before the Victoria Marathon, I felt like I was over-caffeinated almost every day, but I think this was partially nerves and partially excitement. Writing about it definitely helped me then, and entertaining yourself in other ways works too. You can’t run as much as you would like to but you can read about running or watch documentaries about it. 7) Embrace the post-race training break: After completing a long-distance race like a marathon, your body will need time off to recover. I figured it would be a week off. It was more like 3 weeks, I didn’t run for at least 10 days after the marathon and even after that my runs were sparse and short in duration. There were 15 minute runs, 20 minute runs, and then finally 30 minute runs. I didn’t do an actual “workout” until a week ago, which was 3 weeks after the marathon. 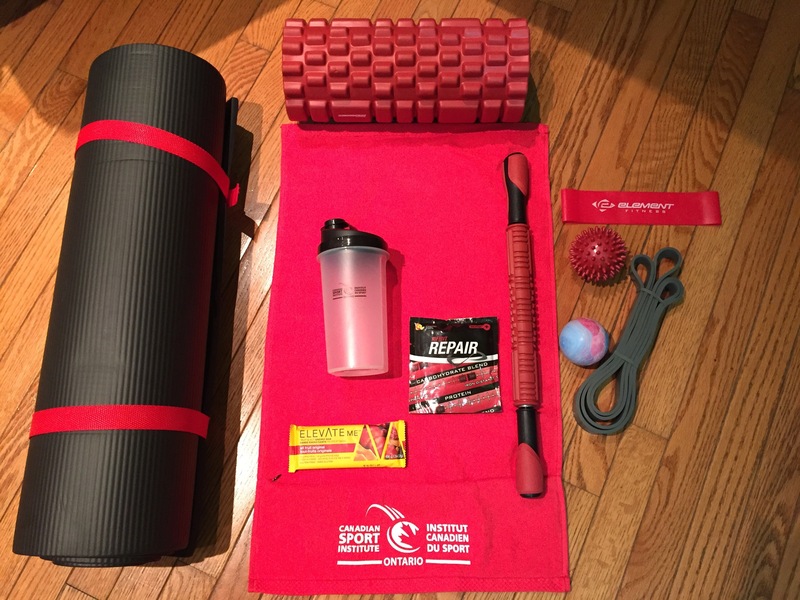 Your body needs time off between a big event and the next training season to recover. “If you don’t need the recovery, you didn’t train hard enough” is what my coach told us a few weeks ago. I believe her. I did not think I would need that break, but I totally did and am happy I followed her advice. My training will not be as intense as it was leading up to the marathon until the New Year, when I start training for the Eugene marathon. I plan to enjoy these easier 2 months of running because I know my body will thank me later. These are 7 tips that have helped me become a better runner and will continue to help me in the future. I hope they help you too! When I first started running, it was only for half an hour at a time, done on the treadmill at the YMCA. It was as bad as it sounds (nothing against the YMCA), running is challenging especially when you are just starting and the treadmill is not much fun either. After a summer of the treadmill, I graduated to running outside year round. I wouldn’t go further than 10km at a time, and only ran a few days each week, maybe 3 max. I was super into group fitness classes at the time like spinning, Body Pump, and other Les Mills offerings at the Goodlife Fitness in Guelph, Ontario. Anyway, for most of my running career, I only ran a few times a week. These runs were always pretty simplistic in nature and solely based on distance. I would often run home from work, which would be a 10km route and complete that 3 times a week. Once in a while, I would complete a Sunday long run of 16km, but that was as long as it got. I didn’t do speedwork. Every run was seeing how fast I could go for that 10km. When I was moving from Toronto to British Columbia, I had a month off between finishing work and the cross-country drive. I started running everyday because I had extra time and extra energy from not working 45-50 hours at the restaurant every week. I remember feeling great and setting the goal for myself to run 100 miles that month and I did. This was a pretty significant mileage increase and I was also lifting relatively heavy weights at the time, multiple days each week (not doing that anymore!). 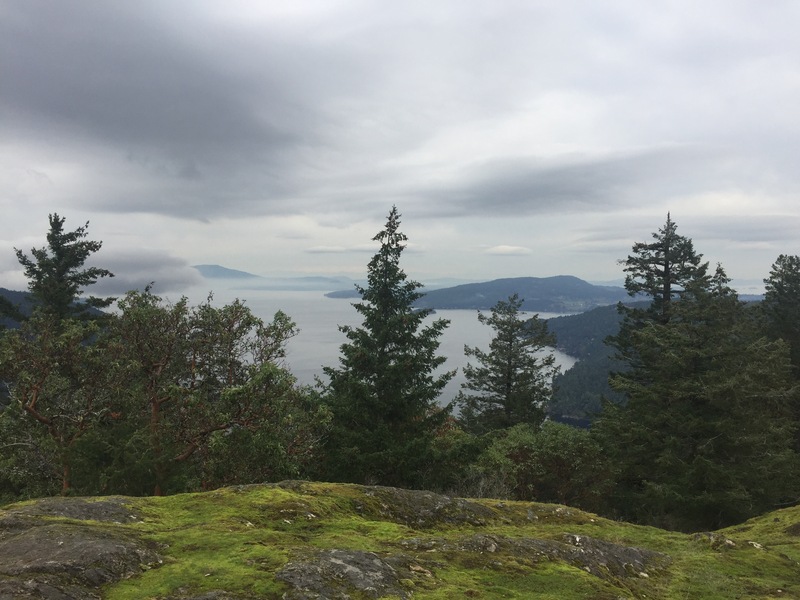 I arrived in Victoria at the beginning of June and had the goal of achieving a PB at The Seawheeze Half-Marathon, I was looking to beat my previous PB of 1:45, which I had done with minimal training. Seriously, 2 weeks before the event my dad reminded me we had signed up and I went for 1 long run and some shorter ones and that was that. Yes, I was running every week, but like I said, no speed work and minimal long runs. Given I had commited to TRAINING for the Seawheeze, I had visions of a super fast time. This was the first race I completed where I was incredibly disappointed with the result. I finished at 1:50:29 and was pretty upset. I continued training and did the Goodlife Victoria Half-Marathon that October, finishing in 1:47. I was happier with this result, but still unsatisfied. It was definitely time to make a change in pursuit of becoming a better runner and also to achieve the results I wanted. 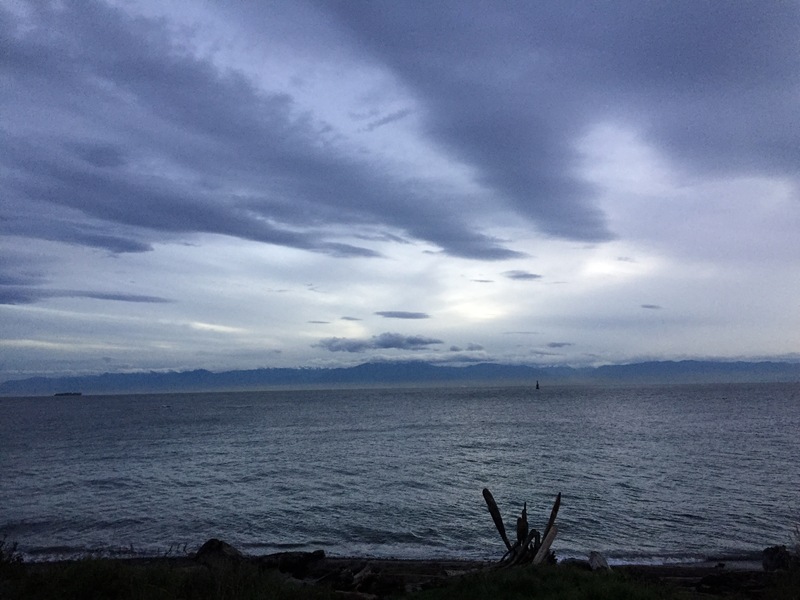 A few weeks later, I was job shopping and instead came across a course at The Pacific Institute of Sports Excellence called Run Training With Marilyn. It advertised real time feedback from an elite runner. When I researched her, I was not only impressed by how speedy she was, but by her dedication to proper form and injury free running. I decided to register for the program. We were first asked to complete a survey describing how often we ran, and on what kind of surface, weekly mileage, PB’s, goals, and even nutrition. It was a great way to access where we were starting and where we wanted to go. I wrote that it was my goal to run The Boston Marathon, that hasn’t changed. The program included Marilyn creating our weekly run schedules, this was exciting and new for me. Previous to this, I either “winged it” or if I was training for a specific event, my dad would create a schedule for me. The first week was all short runs at a very slow pace, I remember thinking it was strange and even challenging to run THAT slow. I was asked to run at a 6:00/km pace or even slower. I was confused by this, it seemed way too easy. I still followed the schedule and did those slow freaking runs. What I know now is, this was an assessment which transitioned into increasing frequency of running, albeit still at a slow pace. In January, it will have been 2 years since I participated in Run Training With Marilyn. I am still training with Marilyn, and haven’t looked back. Upon her advice, I focused on increasing fitness and mileage for many months before I began training for my first marathon, completed last month. I narrowly missed a Boston Qualifying time, technically it was only seconds, but to guarantee your spot you need MINUTES faster than the qualifying standard for you age. My goal is to take 3-5 minutes off my marathon time and BQ at the Eugene Marathon in May 2017. Stay tuned later in the week when I reveal 7 important lessons I have learned that dramatically improved my running!